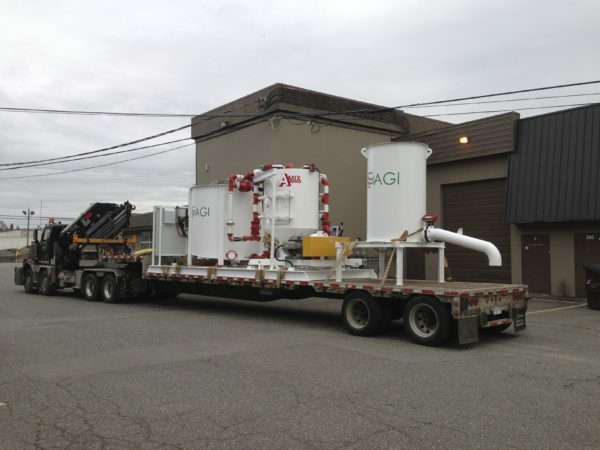 AMIX was retained by AGI to design and build a high capacity grout mixing plant that could provide the quality and quantity of grout needed to keep their soil mixing operation running at maximum production. The rapid transit line, a $1.43 billion project, is 11 km in length with elevated, at-grade, and underground sections with seven stations. 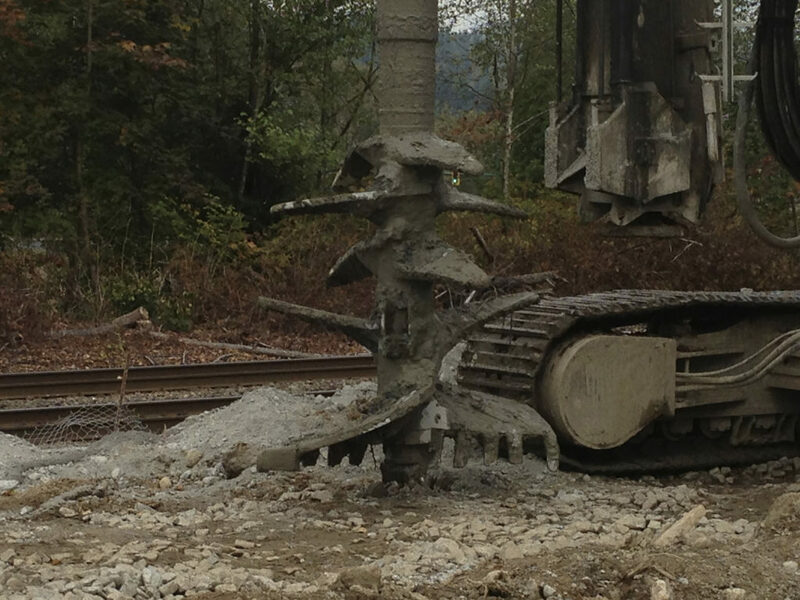 AGI Foundation Contractors performed deep soil-cement mixing to stabilize soft soils along a portion of the alignment. 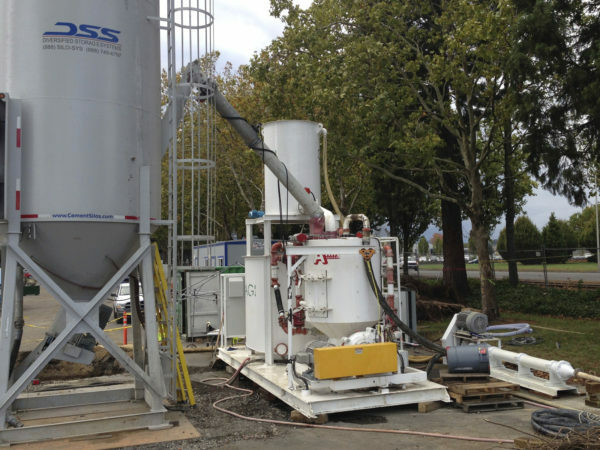 A grout mixing plant was needed that could be connected to, and work seamlessly with, the soil mixing rig. 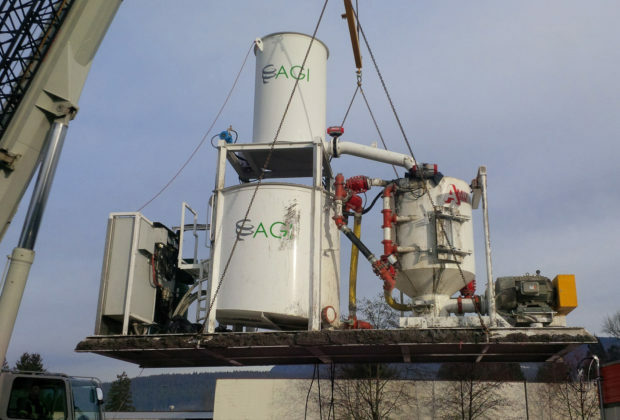 Because of the length of the alignment being treated, the grout mixing plant needed to be easily transportable to move with the soil mixing rig and it needed to have a small footprint due to the narrow corridor. The plant needed to produce a highly flowable and homogeneous grout on demand. AMIX provided a conceptual design and built a custom high shear colloidal mixing grout plant that included manufacturing a skid mounted grouting system. The plant was built off-site and delivered to site in an easy to set up modular design. The AMIX plant is an extremely accurate grout system producing high quality, on-demand grout. Additional features of the batch plant include it’s self-cleaning function allowing for low maintenance and little down time, as well as incorporating a remote application allowing for seamless grout flow control at the soil mixing rig. AMIX Grout Plant (AGP) was simple to operate, low maintenance, compact and easy to set up and move. The AMIX Grout Plant (AGP) delivered high quality grout on demand which allowed AGI to maintain a very aggressive construction schedule. The plant consistently produced high-quality grout mixes within specifications with no waste, and it required less operator intervention than other comparable plants we have in our fleet. The plant was highly mobile; it could be relocated and running again within one day using a 4-man moving crew. Construction Manager, Advanced Geo-solutions Inc.